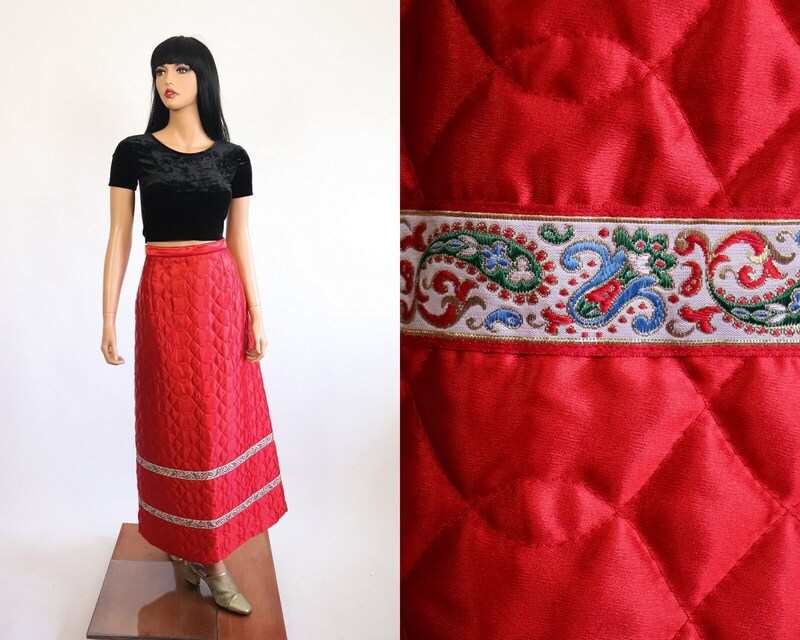 The most gorgeous 1970s maxi quilted skirt. Features shiny red satin and ribbon trim. High waisted with magical A-line long length fit. So bummed it's not my size! Condition notes: There are a couple of broken threads. They are really hard to spot. There are also 3 areas with light black marks. They too are hard to spot. Both of these things are shown in the last photo.